Gin Rummy an extremely popular variant of rummy and is generally played with only two people. The ease of learning the game, as well as the fact that one doesn’t need multiple players to start playing, are one of the many factors that make Gin rummy one of the most beloved versions of the game. If you are an enthusiast, or are just learning the nuances of the game, anyone can play Gin rummy online. In this article, we will tell you everything you need to know about the famous Gin rummy game so that you can learn the basics in no time! Different versions of rummy are played with varying numbers of packs. In gin rummy, players play with 52 cards. However, unlike other forms of rummy, this game does not employ the use of a joker. In Gin rummy, the Ace is the lowest card in the deck. The face cards, that is the King, Queen and Jack, are all worth 10 points each. The number cards are valued at the same number printed on them, while the Ace is valued at one point. The main objective of the Gin Rummy game is to be able to score a defined number of points, usually 100 points. In order to do this, players must create sets and sequences. A set is a group of cards of the same value, belonging to different suites. A sequence, on the other hand, is a chronological trail of numbers within the same suite. So, for instance, if you have 8,9,10 of Hearts in your hand, that is a sequence. Similarly, if you have 2 of spades, clubs, and diamonds in your hand, that is known as a set. Any card that does not belong in a set or a sequence by the end of the game is known as deadwood. The deadwood affects the points that the player scores. The dealer begins by shuffling the deck. Then, he/she places a card for the opponent, and then one for himself. This is done until 10 cards are distributed between the players. Once this is done, the dealer places a card from the deck with its face up. This marks the beginning of the discard pile. The rest of the cards are placed face-down. This is known as the stock pile. Both these piles are very important when playing gin rummy game. Gin rummy is essentially a game of picking up cards and discarding them to create sets and sequences. The player who is not the dealer begins the game by picking up a card from the stock pile. If that card is not valuable to them, then they place it in the discard pile without discarding anything from their hand. It is then the dealer’s turn to do the same. If a player wants to retain a card either from the discard pile or the stock pile, then they must discard a card from their own hand. This card goes into the discard pile with the face up. Often, this pile is very important because it gives the other player a clue about the set or sequence that you are making. So you need to play smart! Once you have made all your sets and sequences, you are eligible for a knock, i.e. declare that you are ready to reveal your cards. In order to be able to perform a knock, your deadwood cannot exceed more than 10 points. So, for instance, if you have a deadwood in the form of a King and an Ace, you cannot knock. However, if you have deadwood in the form of a 2 and 7, you can knock. However, this is not compulsory. You can keep playing until your overall hand improves. If you can lay down all ten cards in sets and sequences, then it is known as Gin. If both of you have made sets and sequences on time, then the value of the deadwood is what determines who wins. If your deadwood value is lesser than your opponent, then you are the winner. A gin rummy game ends when a player reaches 100 points. Conversely, it can also end when the stock pile deck only has two cards left. In such a case, no one is the winner. The game is reset and played all over again. When you declare Gin, you get 20 points. Additionally, you also get the total value of your opponents unmatched cards added to your points. Whereas when you declare Knock, you get 10 points. If you have knocked and you win the game, then you score 10 points as well as the difference in the value of your opponent’s unmatched cards and your unmatched cards. What is the difference between gin rummy and Indian rummy? Number of players: When you play gin rummy, there are 2-4 players whereas there are 2-6 players in a game of rummy. 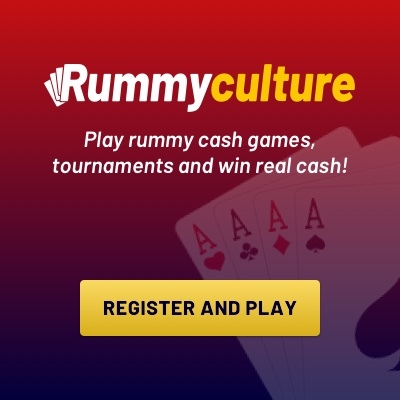 Dealer: While playing rummy, the players can choose the dealer. When playing gin rummy, the players select cards from a face-down deck and the player with the lowest value card must deal. Playing: Most commonly, players discard and pick up cards in a counterclockwise turn when playing Indianrummy. However, in a gin rummy game of 2 people, the non-dealing player starts the game. So there you have it! Now that you know all the important basics of Gin Rummy, you can start playing the challenging game with your friends and family. However, remember that you don’t always have to wait for friends. You can always play gin rummy online whenever you want to!